‘Tis the season for giving. 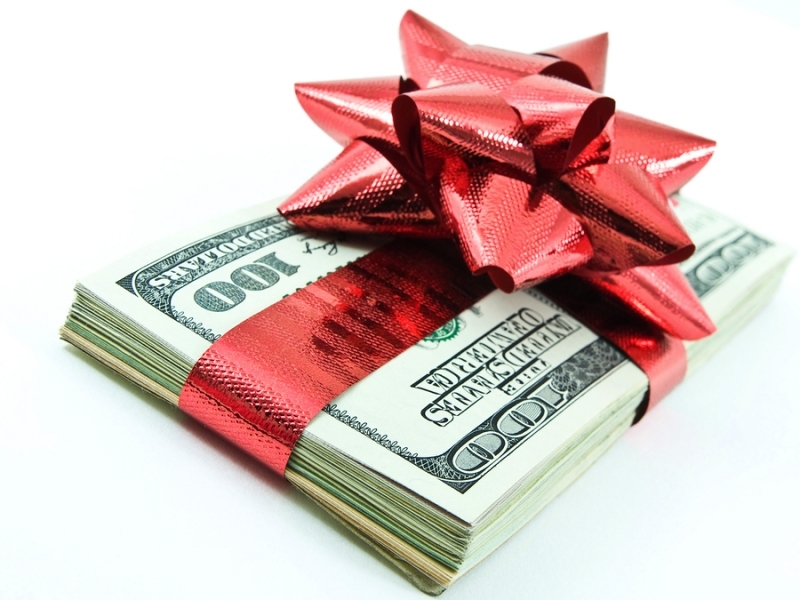 Many seniors use the holidays as an opportunity to give away some of their cash or other valuable assets to loved ones. And while their generosity is no-doubt appreciated by the recipients, there are reasons to be cautious about how much you give away. Some seniors opt to give away money or assets to their loved ones as a way to eliminate their value from the calculation that determines Medicaid eligibility. Medicaid is a government-funded program to help pay for care services for people for all ages who lack the funds to pay for their own medical or long-term care needs. It is different from Medicare, which is a health insurance program available for all people who are over age 65, as well as people with a severe disability, regardless of their income. In short, if a senior has money put aside in savings, they are expected to use those funds to pay for their own long-term care costs. Only if those savings are exhausted will Medicaid kick in. This is why many seniors look for ways to protect at least some portion of their cash savings and other assets, often so they can be used to support their spouse or their children, while still managing to qualify for Medicaid. The criteria to qualify for Medicaid vary by state, since some of the funds that support the Medicaid program come from the state level, but in general for those under age 65, it is based on a formula that includes a person’s modified adjusted gross income (MAGI). For people age 65 and over, Medicaid eligibility is determined in part by the rules for Supplemental Security Income (SSI), which is funded by general tax dollars, not the Social Security taxes withheld from a paycheck, as well as other assets. In the simplest terms, once most of your assets are depleted, Medicaid will kick in to pay for your long-term care services (such as care in a nursing home). But there’s a caveat that is crucial to understand. Under federal laws for Medicaid, if you give away certain assets within a five-year “lookback” period before you apply for Medicaid, you may be hit with what’s called a “transfer penalty,” which renders you ineligible for Medicaid benefits for a designated period of time. While federal tax laws for 2018 allow an individual to gift up to $15,000 a year to another person without having to pay a gift tax, even small gifts/transfers can impact your Medicaid eligibility. And it’s important to know that Medicaid treats pretty much all gifts/transfers equally in determining your eligibility, regardless of whether the gift was to a not-for-profit charity or to a loved one for the holidays, a birthday, a wedding, a graduation, etc. Now, there are a handful of exceptions to Medicaid’s rules about giving away assets during the five-year lookback period, even if you are already living in a residential long-term care setting. For example, you can transfer money or other assets to your spouse without it receiving scrutiny or causing you to incur an eligibility penalty. Similarly, you can give assets away penalty-free to a child who is blind or otherwise permanently disabled, and you also can create a trust to give your assets to anyone under age 65 who is permanently disabled. There are some additional exceptions to the lookback period for those who want to gift their home, which is often a person’s most valuable asset. You can transfer it to your spouse, a blind/disabled child, a trust for any permanently disabled person, as above. But you also can give your home to a child who is either under age 21 or any adult-child who has lived in your home with you for at least two years serving in a caregiver role for you, which allowed you to remain in the home prior to moving to a long-term care residence. You also can gift your home to a sibling who already has an equity interest in the home and who also lived there for at least a year before you moved to a nursing home. >> Related: Aging in Place: A Gift to the Children? There’s another important fact to consider when pondering giving away your home. According to the 2018 rules around Medicaid eligibility, a primary residence with up to $572,000 of equity (or up to $828,000 in certain states that elected for an increased value under federal law) is designated as an exempt “non-countable” asset, which means it is possible to keep your home (versus gifting it as described above) yet still qualify for government-financed nursing home care under the Medicaid program. But as with most things that sound too good to be true, there is a hitch to this non-countable asset designation for the home: When the Medicaid recipient passes away, the state has the right to recover the amount paid for nursing care from the deceased person’s estate, which typically comes from the sale of their home. If you decide that you do want to transfer your home or other Medicaid-exempt asset to a loved one, there are several different ways to do it, such as an irrevocable Medicaid trust (which I’ve blogged about before), outright deed, or a deed with life estate, which would allow you to continue to live in the house. There are pros and cons to each of these property transfer approaches, so be sure to consult with a real estate attorney and tax attorney (since capital gains taxes may result from the eventual sale) to determine which option is the best for your unique situation. The holidays are not only a nice time to gift a portion of your estate to a loved one, they also can be a good time to discuss your estate planning approach with them…it’s an important conversation to have. As you can see, there are numerous complexities and considerations when thinking of how you will give assets away and when determining how you will pay for your long-term care if and when you need it. And it’s important to understand the laws around gifts of money, real estate, or other valuables so that you and your loved ones don’t pay for that gift down the road. That’s why I always advise people that an important supplement to your gift should be to consult with the experts—an experienced financial planner, accountant, and estate attorney who understands Medicaid regulations—in advance of giving it.